From one high school overachiever to another: don’t spread yourself too thin—because you just might snap. Especially helpful advice for finals week! Anyone who has ever worn their hair in a ponytail knows the struggle of a hair elastic snapping as you try to loop it around too much hair. As an overachiever-type student, I tend to be like that ill-fated hair elastic. Not wanting to accept my limits, I can easily stretch myself too thin—to the snapping point. But a broken hair elastic isn’t useful to anyone. That’s why it’s important to detect when you’re approaching your snapping point and deal with your frizzy schedule in a healthier way. 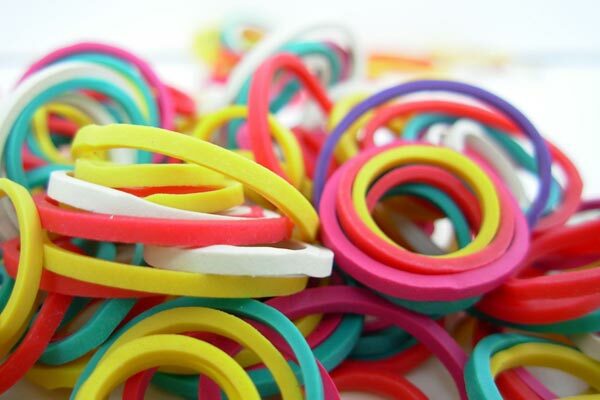 As you stretch a hair elastic, you can feel it thinning. Very rarely does it snap without warning. People are the same way. We feel our stress mounting, pulling us in different directions, wearing us down. Of course, signs of stress-related burnout are a little different for everyone. We might find ourselves snapping at our friends or family without meaning to. We might be tired, withdrawn, and unmotivated in our classes or after-school activities. At this point in high school, you probably know how to detect your stress-snapping point, but you might not always acknowledge it. Just like with the hair elastic, you might believe you can loop it around just one more time―that you can stay up just a little longer to study more, fill in that single hour slot of free time in your day, say yes to one more responsibility in that group project. But there comes a point when that one extra loop is just too much. With a busy high school schedule, it is important to work hard, but you also need to give your body the rest it needs. Arianna Huffington, founder of the Huffington Post compared the body’s need for rest to our smartphones. She pointed out that, while we are anxious to charge our iPhone when the battery icon turns red, we ignore our own body’s need to recharge. The next time you plug in your phone, use that as a reminder to take a break yourself. Just like your phone, you can’t run on an empty battery. Taking a short break from the task at hand does not mean you are giving up on it, and it certainly does not mean that you won’t excel in high school and beyond. Guess what: successful people take breaks! The Huffington Post's “How 13 Insanely Busy People Find Time to Relax and Recharge” has a list of ways to relax from entrepreneurs, CEOs, authors, and actors. All successful people who feel the pressures of a busy schedule and see the value of breaking free from it. Recharging isn’t a luxury; it’s a necessity. I myself was reminded of this when my friend, the president of my high school class, salutatorian, and lead in our spring play, fell asleep in a few classes during drama club’s “hell week” (the week before a show opens). Even before she had rehearsals, my friend hardly ever slept. She said she was always afraid she’d miss something while she was sleeping. And she did miss something—she missed out on sleep. She isn’t the only one, though. According to Kidshealth.org, a quarter of all high school students in the United States fall asleep in class, which often leads to grades dropping if it becomes a habit. Teenagers need 8–10 hours of sleep, and it’s important to respect our bodies’ need for rest. It’s virtually the only way to maintain clear thinking and abundant drive. Everyone is limited to the same 24-hour day, and there will always be something we don’t get to. But rest shouldn’t be one of them. Maybe you feel the same way as my friend, afraid you’ll miss out on something important if you take a break, or perhaps you feel that you can’t allow yourself to rest or you might you let someone else down. When my high school schedule got crazy I was having trouble finding time to create a study group PowerPoint for my AP Lit classmates that I usually made for all of us to study. Discouraged, I told my class I wouldn’t be able to help them much, but their response surprised me. Instead of being angry with me, the entire class jumped right in, collaborating on a study sheet that we all used. It ended up bringing my whole class closer as we studied together. I realized I didn’t always need to be the person who gave help. Sometimes I was the person who needed help, and that was okay. We overachievers tend to believe that we need to take everything on ourselves, or else it won’t get done―or it won’t get done “good enough.” But we can’t do everything ourselves. It is important to work hard and help others, but sometimes it’s necessary to admit when we have reached our limit. Otherwise, we can wear ourselves out to the point where we can’t help anyone, including ourselves. There will be times in high school when you’ll wish you could do more for others, but being honest about your limits is sometimes the best help you can give. So don’t loop around and around until you reach your snapping point. Give yourself a break, ask for help, and try not to become too—ahem—hairried. How are you dealing with high school stress, CollegeXpressers? Any overachievers out there reading this with thoughts they’d like to share? Let us know in the comments or here.